I did slightly Halloween this year as I opted for the Autumn last year. 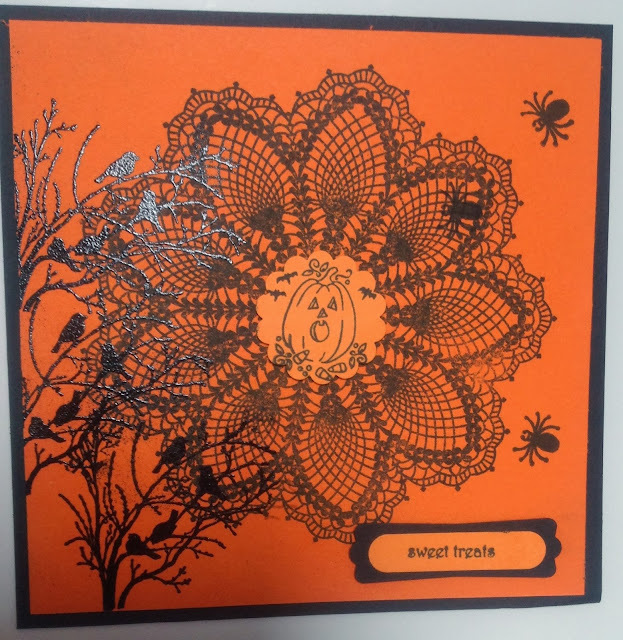 I used stampin up Hello Doily and serene silhouettes a little different but I,m quite happy with the results. It would be great if you could come and join us this month and show us your creations. Sorry pictures is a bit in your face but not sure how to change it. All comments are appreciated and will be returned with a visit to your blog. Super card Lyn - don't change anything - it's fine! !